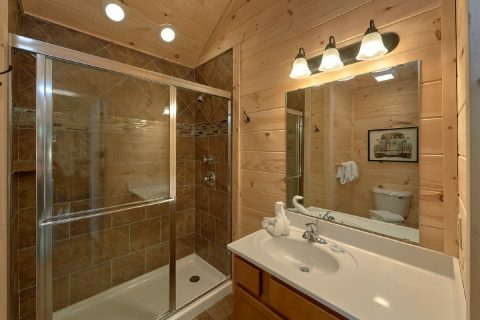 Looking for a new luxury cabin with an indoor pool and theater room in Pigeon Forge? 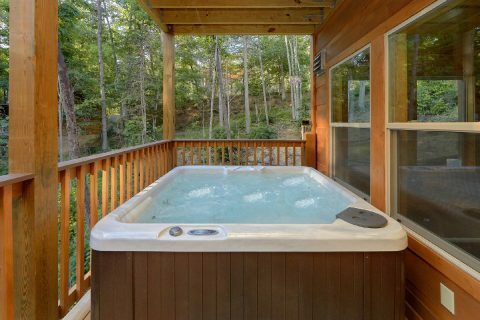 Check out "Pool N Around," an excellent 2 bedroom cabin located near Dollywood that sleeps up to 6 guests in comfort. 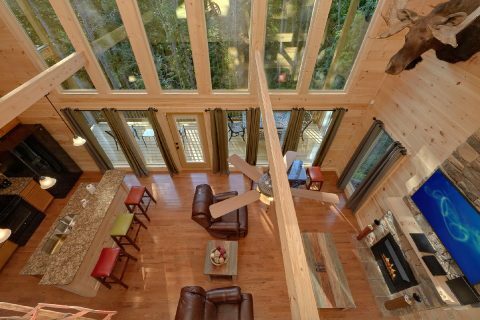 This premium cabin rental features stylish details like hardwood floors, vaulted ceilings, and an elegant floor-to-ceiling stacked stone fireplace, so you can be sure you're enjoying the best in Smoky Mountain luxury. "Pool N Around" also comes with amenities like a private indoor swimming pool and a theater room, so you can have an unforgettable stay! 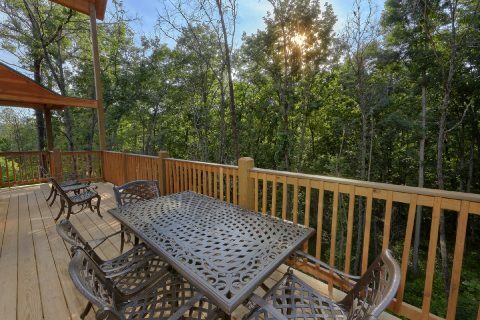 When you aren't relaxing at your cabin, you'll love exploring nearby attractions like Dollywood Theme Park and other attractions on the Pigeon Forge Parkway. 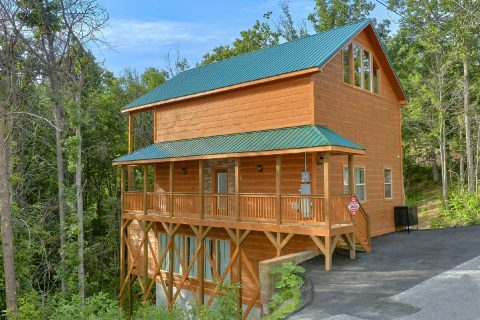 After all, this beautiful cabin is less than 5-miles away from action-packed Downtown Pigeon Forge. 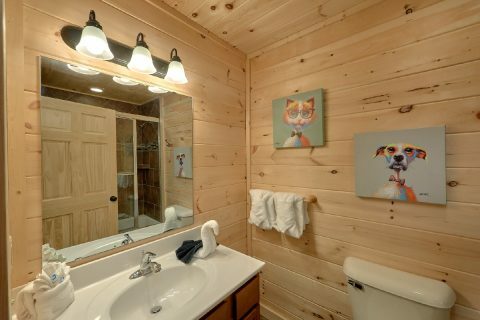 From this cabin's location in the lovely Upper Middle Creek Rd. 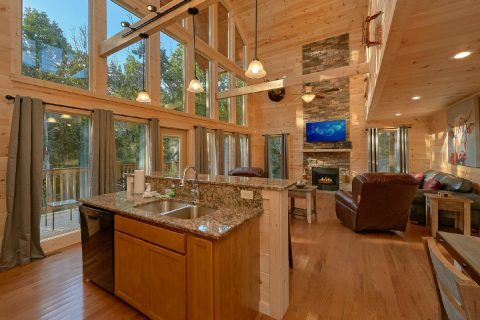 area, other top-rated destinations like Downtown Gatlinburg and the Great Smoky Mountains National Park are within easy reach as well. 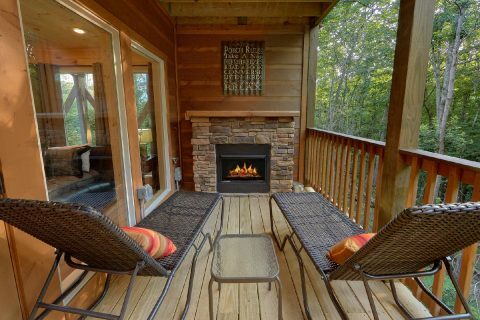 Once you return to this comfortable cabin in the Smokies, you'll be glad you reserved a luxury rental that's close to all the things you want to see and do. 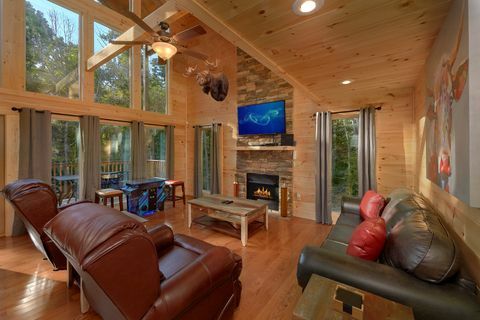 As you step inside the main level, you'll find a welcoming living area with a stacked-stone gas fireplace, a television, and comfortable furnishings, the perfect place for relaxing with friends and family. 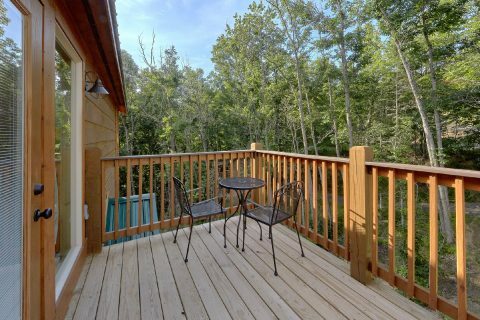 From here, you can step outside onto your cabin's deck to sit in a porch chair to enjoy the fresh mountain air. 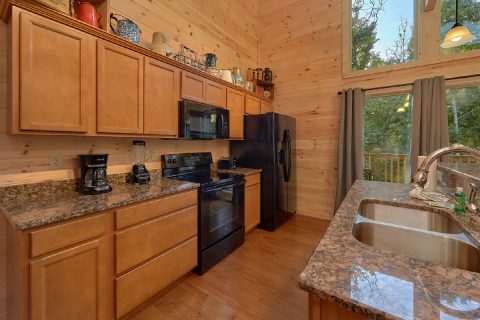 Nearby, you'll find a full kitchen with a kitchen island that provides everything you need to make a delicious dinner during your stay. 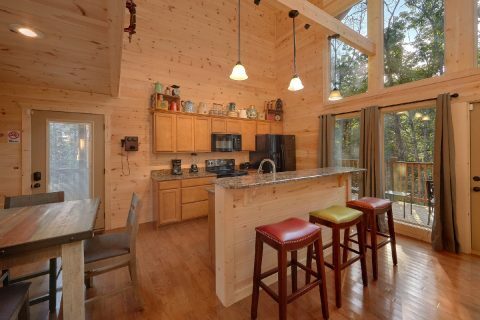 For dining space, you'll find a table with 6 chairs and there's also a table on the deck if you'd like to enjoy your morning coffee in the great outdoors. 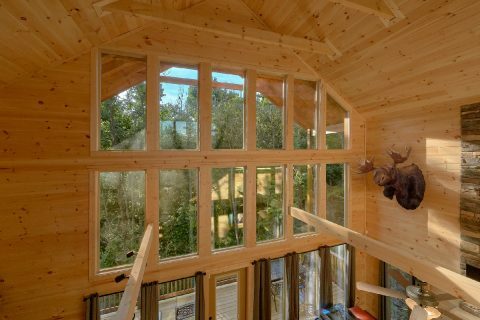 For some in-cabin entertainment, check out this cabin's fully-stocked game room loft on the upper level. 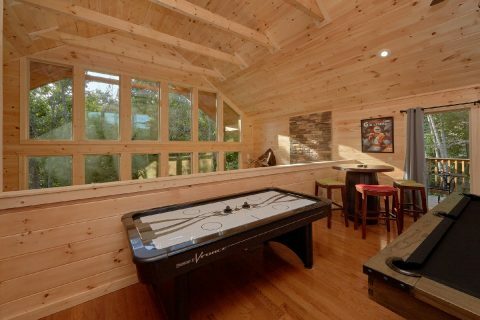 This area comes complete with an air hockey game, an 8-ft. pool table, a 64-game arcade, and a 12-ft shuffleboard game. 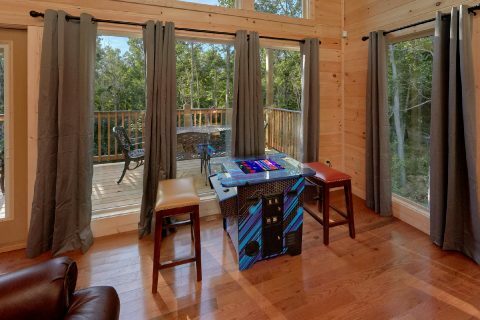 This level also has access to an upper deck with table and chairs. 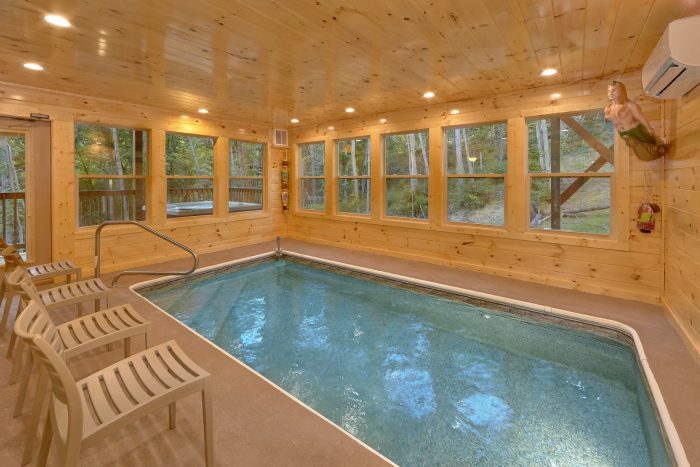 On the lower level of your cabin, there's an indoor swimming pool so you can enjoy a refreshing swim any time of year. 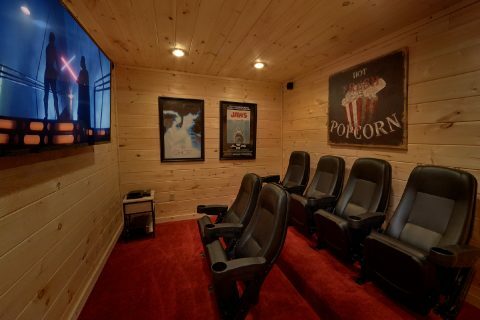 This floor is also home to your cabin's theater room, so you can plan an excellent movie night during your stay. 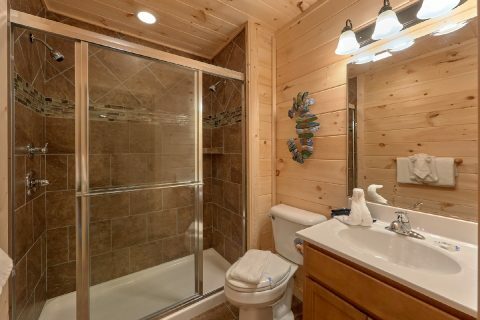 From here, you can step outside onto your cabin's lower deck that features a hot tub, an outdoor gas propane fireplace, and two luxurious chaise lounges. 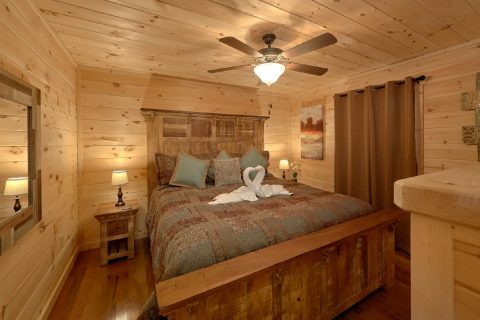 After a great day spent exploring the Smoky Mountains, you can look forward to getting a great night's rest in one of this cabin's 2 bedrooms. 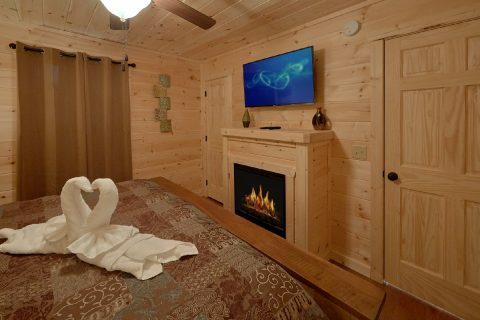 Both bedrooms come equipped with a king-size bed, a cozy electric fireplace, and a television for relaxing in the evening. 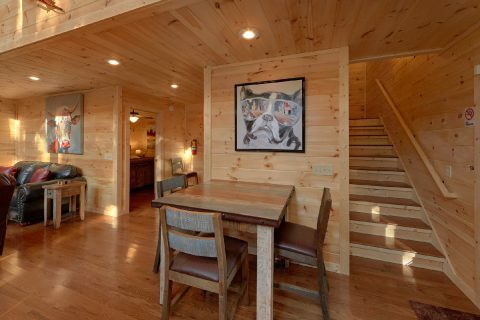 With a bedroom on the main level, a bedroom on the lower level, and a sleeper sofa located in the living room, this cabin can easily accommodate up to 6 guests in comfort. 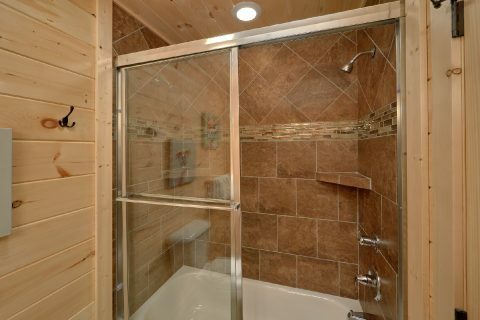 Need larger accommodations for your stay? 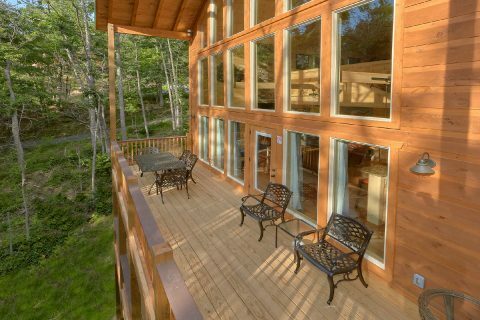 Contact our helpful reservations office and ask about booking several cabins in the same location. 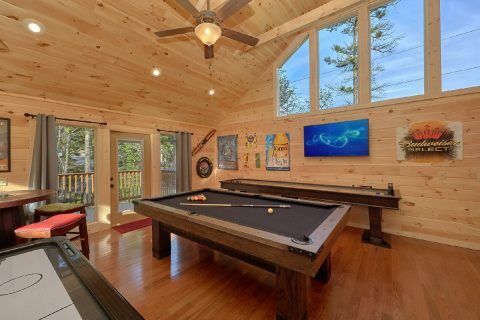 There are several properties located near "Pool N Around" that can be reserved together for a truly luxurious getaway in the mountains of Tennessee. 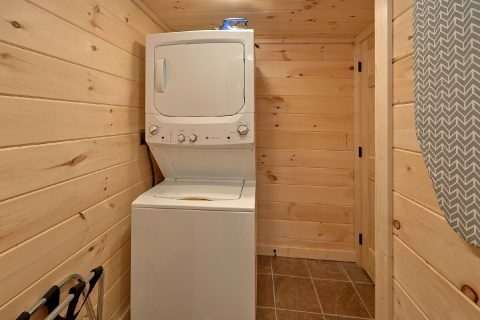 Lastly, "Pool N Around" comes complete with practical features like parking space for 2 vehicles and a full laundry room on the lower level to make your stay simple and care-free. 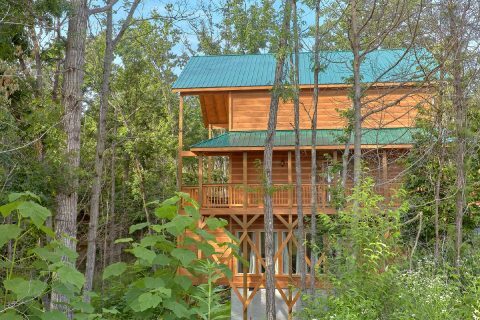 Book this excellent cabin near Dollywood today with Cabins USA to save 15% on your nightly rate in the Great Smoky Mountains!